I'm currently in the process of starting collecting bits for a +40 1275cc A+ metro engine that will be used on my dad's recently restored mini. The engine will be near standard, however the block and cylinder head that I have at my disposal have been both skimmed in the past. After reskimming both, as well as changing valve seats for unleaded fuel, I discovered that the chamber sizes are 18cc. Doing a bit of calculation I'm thinking that I need 15cc pistons to get me to around 9.5:1 CR. In the calculation I assumed a +40 bore, 10thou piston-to-deck clearance, 4cc gasket, and 18cc chamber size. 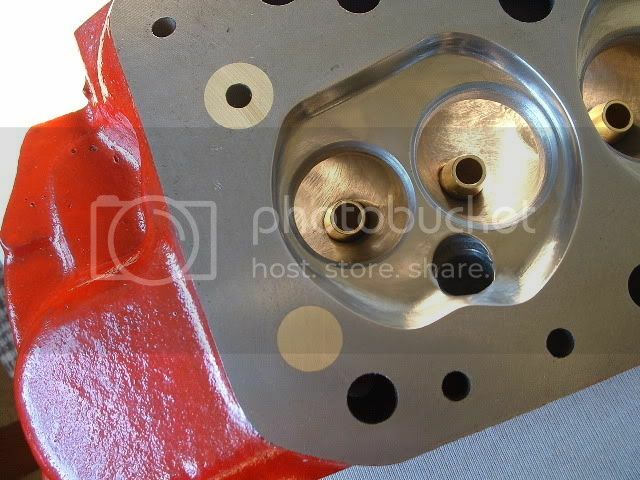 Are the 15cc pistons easily found off the shelf ? And if so from where ? My other dilemma is whether I should slightly modify the engine making it a bit more like mild- to fast- road. This might mean putting in a conservative camshaft, duplex vernier timing gear and a decent carbeurettor, distributor and LCB manifold. If so, should the compression ratio be increased a bit further than 9.5:1 ? Say going to around 10.5:1 ? You could use the 21253 and have them dished. I believe 14cc can be removed. Cam choice generally dictates compression ratio so you need to decide on this first. Since this is a road going build with budget being very conservative I was thinking of going for the MED package in the below link opting for the MED RS cam. What do you guys reckon the CR ratio should be for such camshaft ? Not a fun of Med cams, two of my friends used them with not great results. I’d go for either Keith calvers cam Re13 or swiftune cams.